For their recital in the MRC Salon, the Melnychenkos covered almost as much territory as other duos are happy to handle in a full recital-with-interval. Well, sort of: the addition of another major work might have exercised this audience’s endurance but not by much because the responses were very warm to all four programmed items. In fact, the musicians played three repertoire staples as well as a brief curiosity and, for long stretches, any auditor would have been quite happy with the experience. Markiyan is the violinist in this pairing, Oksana the pianist. To my mind, the event’s first offering proved to be the most rewarding: Chausson’s Poeme – originally with orchestral accompaniment but then arranged by the composer for this combination, with other writers offering improvements as the work achieved its deserved popularity until these times when it has become a staple in every professional player’s repertoire. The piano’s role, however improved, is subsidiary to the solo string and Markiyan Melnychenko impressed straight away after the sombre introduction with a gripping account of the first solo – unaccompanied and not difficult but immediately loaded with character and giving evidence of this player’s admirably firm bowing work. Even when the score progresses to those rich double-stop bars inspired by the dedicatee Ysaye – the Animato at Number 11 in my Breitkopf & Hartel imprint – you were treated to a smooth delivery without a hint of scratch or scrape. Indeed, the violinist’s enunciation proved near-flawless at those moments of exposure and/or peril, like the cadenza that Chausson interpolated early on, and the soaring high-set lines that reach their conclusion in the set of trills starting on a low B flat bringing the Poeme to its muted resolution. Here was a controlled and metrically disciplined account of a favourite that often suffers – just like many similar products of its time and genre – from sloppy sentimentality and a devil-may-care attitude to the bar-line. In comparison, the following Debussy Violin Sonata made a less favourable impact. It’s a hard piece to get right, particularly in this environment where, to play safe, a pianist might make constant use of the left pedal for fear of manufacturing a glutinous texture or sounding over-prominent. The opening to the Allegro vivo sounded sprightly enough but the movement’s centre found both artists inflicting heavy treatment on pages that don’t need power. From the first Meno mosso where the key signature changes to E Major, Debussy is operating in a kind of atmospheric susurrus, a restrained mesh which is meant to sound light and transparent; the effect here was mobile but muddy. Nor did the Intermede offer much better. For one thing, it was taken at a pretty fast pace, which suited the violinist but found the pianist working too hard in chordal sequences like bars 29 to 33 or in potentially whimsical passages like the 16 bars before Number 3 in the Durand edition. This over-emphatic attack also brought an unnecessary tension to the finale where Debussy’s contrapuntal interplay gets quite complex, to the point where you relished the violin’s abrupt unaccompanied flights in 9/16. Soft passages like the chain that follow the direction au Mouvement initial lacked the expected delicacy, although the players recovered some finesse of attack by the time of that magical Meno mosso move to E Major. Prokofiev provided the evening’s second half, beginning with the first of the Six Pieces from Cinderella, Op. 102; this is the third suite of piano solo extracts from the ballet and I didn’t know it had been arranged for violin/piano duet. In this format, the waltz sounded very effective, the string line taking melodic responsibilities but also adding a good deal to the slightly manic impetus that the composer invested in this scene where the private and public overlap to brilliant if alarming effect. If for nothing else, the extract gave Markiyan Melnychenko an opportunity to display his gift for urging out long lyrical sweeps of fabric not dependent on a hefty vibrato. With the Sonata in D Major, co-opted for Oistrakh from the Flute Sonata, the piano contribution again erred on the side of heft and a forceful dynamic. The partners worked with certainty through the opening Moderato‘s exposition but things took a turn for the hectic during the development, notably when Prokofiev changes his key signature to B flat Major/G minor and the action involves chromatic creep and an increase in linear tension. It struck me that both performers were again pushing what is a pretty simple work, in terms of construction and atmosphere, on to a more weighty plane that it deserved. The Scherzo would have gained, like the Debussy Intermede, from a more brisk staccato and a softer dynamic. In the music I have for the work, there is no request for anything beyond mezzo-forte from the keyboard until the D flat chords four bars before Number 14; as it was, this presto impressed as lumpen-footed, lacking biting humour or acerbic spark. Still, the D Major interlude/Trio was accomplished with sympathy and polish, in particular Markiyan Melnychenko’s quadruple stops and quiet, present harmonics. Both musicians gave the Andante its space and showed a well-controlled dynamic balance, notably in the long central pages where triplets are the order of the day; their subsiding into that marvellous, simply-achieved drift down a chromatic scale at Figure 31 impressed also for its sweetness of timbre from the violin and gentle underpinning from Oksana Melnychenko. Both musicians enjoyed the vigour of Prokofiev’s concluding Allegro con brio but a good deal of this sonata section came across as strident. As with many another reading of this work, the deceleration at Figure 37 struck me as unnecessary; as far as I can see, the composer only wants a change of pace twice during this movement – for the rest of the time, it makes sense in the actual music itself to maintain a steady metre. The final eight bars would have gained a good deal in accuracy if the tempo initially adopted had been more considered and the sustaining pedal not so readily employed. Yes, Prokofiev has a reputation as a seeker after the percussive, but not in this elegant if sometimes ebullient score. I’ve heard Markiyan Melnychenko in larger combinations before this and found plenty to admire in the accuracy of his pitching and the finesse of his delivery, the technical and emotional control evident no matter how ardent the composer’s temperament. Of course, these qualities emerged often in this particular night’s work but it seemed as if both musicians were making hard work of their music-making – like the Debussy which should shimmer with energy, not be delivered with gritty determination and hard-edged insistence. This trio was preceded by a light-stepping version of the Gassenhauer Trio No. 4 in B flat Major. Here, the approach was measured, even deliberate, but the score’s inbuilt good humour bubbled continuously, particularly in the finale where even the advent of some B flat minor variations sounded tongue-in-cheek, surrounded as they were by forthright, athletic boisterousness. The players made sparkling, deft work of the concluding Allegro with its jaunty syncopations, the strings in an ideal tandem partnership across these happy pages. According to the booklet that accompanies this CD, ‘the winners deserve the same acclaim accorded to top national athletes.’ Considering the current crop of sportspeople who occupy the headlines whenever Australia hits the big-time, I suppose we can take the comparison as well-intentioned but you’d hope that the three place-winners at last year’s Shepparton competition would be prepared to forego the company or example of Nick Kyrgios, Bernard Tomic or – to juggle with the term ‘top national athletes’ Shane Warne. In fact, the three musicians featured on this album display a kind of discipline and authority under pressure that even gifted sports-persons can only dream of acquiring. Those hoops that competitors are required to jump through can’t slowly diminish into the near distance like those for the Sydney Piano Competition where the number of prizes for specific abilities stretches from the Opera House to South Head. This national award – and it is just that: to enter, you have to be a citizen, not a laurel-gathering visitor – focuses on an entrant’s abilities as shown in solo recital format, An Australian work has to appear in a candidate’s repertoire, but the choice of core material is wide open: Baroque, Classical, 19th century Romantic, French impressionist, music written between 1900 and 1950, and works written in or after 1951. New South Wales musician Tony Lee (24 at the time) won the first prize in the 2016 event. 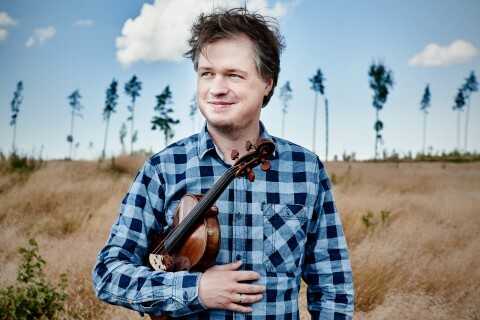 He is a veteran in competitions in this country, France and Norway and on the present recording (made during live performances) he plays Scriabin’s two-movement Sonata No. 4 in F sharp Major, Saint-Saens’ Danse macabre as arranged by Liszt and then revamped by Horowitz, Chopin’s posthumous E Major Waltz (not the E minor one, as the CD has it listed) and the same composer’s Mazurka in C sharp minor Op. 50 No. 3. 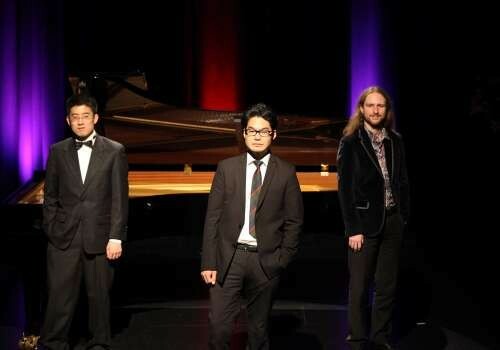 In 2013, Lee won first prize in the Under 24 division of the 13th Scriabin International Piano Competition, so he came to Shepparton with his credentials for the Russian composer well-established. The performance of the Fourth Sonata has an admirable drive, especially in the Prestissimo volando second movement where the pianist executes a dazzling tour de force, realizing all the detail with fine discipline yet still responding to this music’s neurasthenic core. Lee suits himself about parts of the slow opening Andante, freely adopting several interpretations of the direction con voglia found in my score, to the point where I can’t hear the lower right hand notes in bars 33 and 34; but the approach is impressively confident and takes full advantage of the composer’s rhythmic flexibility. The sonata’s second section flies along, Lee managing the long bursts of athletic movement and twitchy melodic particles with admirable musicianship – inserting short pauses, changing his weight of attack, giving adequate measure to the relieving moments (the few of them there are) but reading the score with discrimination, even when it reaches its bombastic climax at bar 144 and the shades of Tchaikovsky and Rachmaninov become fused in a powerful polemic on the work’s first theme. Saint-Saens’ tone poem, especially after two legendary pianists have applied themselves to it, makes another brilliant exhibition. This work is very familiar and stands up fairly well to the interpolations added to its already exhilarating momentum and Lee handles it with plenty of 19th century virtuosic flair. I could find only one moment where a momentary faltering occurred; the rest is a dazzling exercise, nowhere more so than in the chromatic riot that starts to build up at bar 431. For the purist, not all the notes are there and careful attention shows up some points where there are a few subterranean additions; in this, Lee is only following in his distinguished predecessors’ footsteps and the results are formidable. Both Chopin tracks are amiable enough. There is one miscalculation in the waltz in the right hand at bar 50 but the trills are as crisp as you could desire. Across the mazurka, the pianist exercises his God-given right to rubato but he impresses as one of the few pianists who thinks that taking time over one phrase means you have to make it up further down the track. So, his reading is a fine combination of the ruminative and the assertive, effectively and sensitively carried off. By this stage, Lee has demonstrated a telling sympathy with the 19th century Romantic division of the competition’s repertoire (yes, I know the Scriabin was written in 1903 but its language sits unsteadily on the 20th century cusp). 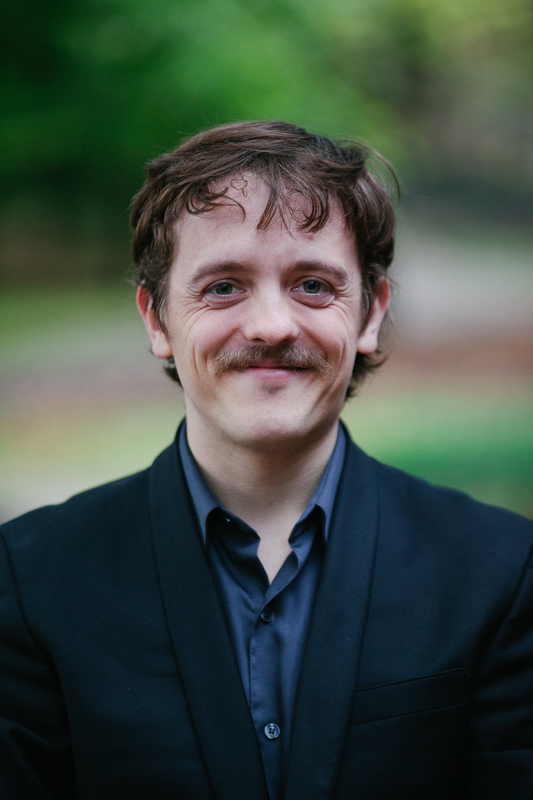 In second place came Peter de Jager, a familiar face around the Melbourne traps from his contributions to ANAM events and occasional appearances at the Recital Centre. His offerings on this disc are idiosyncratic to say the least, far more adventurous than you would expect at a competition of this nature, although I’m no authority on what the other entrants performed. This musician is dedicated – among his other interests – to contemporary music and is a composer in his own right, so two of the works he presents here are post-1951. He begins with Lyapunov’s Transcendental Study No. 10, sub-titled Lezghinka and a refined version of that Caucasian dance (for unrefined, you can find a lezghinka in Khachaturian’s Gayane score). De Jager’s attack is not as tumultuously rapid as that of some other pianists but you can hear every note in this Allegro con fuoco. The pianist’s command of the composer’s sophisticated setting/adornment of two unremarkable melodies is excellent, the first toccata descending-scale motive given without the mindless martellato punchiness that it usually suffers. The central section, when the key changes from B minor to D flat Major, finds de Jager indulging in some late Russian Romanticism. Lyapunov formed part of Balakirev’s circle and this tune has an inflection that recalls both Prince Igor and Scheherazade; indeed, the melody could have been a candidate for adoption into Kismet if the composer had been somebody else. But the study makes a fine contrast with Lee’s Danse macabre; not surprising as the composer’s aim in these studies was to complete the work begun but not completed by Liszt through his own similarly named exercises in pianistic impossibility. Next comes the only Australian work on the CD: Chris Dench’s tiento de medio registro alto from the composer’s Phase Portraits Book 1, the piece itself occupying Dench from 1978 to 2003. The score states that the work is ‘after Francisco de Peraza’, who is probably the 16th century Salamanca-born composer to whom is ascribed one work: a Medio registro alto (de) Premier Tono, although the work’s authorship remains a dubious quantity among the scholars. Dench’s brief fantasia is a ferocious-looking complex on paper, packed with metrical subdivisions that recall early scores of Boulez and Stockhausen, although not as insanely demanding. De Jager makes light of its terrors and those summoned up by the score’s irregular scalar rushes from one node to another. The work is awash with sustained textures, its connection to Peraza’s little piece escapes me (no surprise there), and its performance complements the preceding track’s calisthenics. The silver medallist ends his group with Stephen Hough’s arrangement of My Favourite Things from Rodgers and Hammerstein’s The Sound of Music. Another fleet-fingered display piece which is dispatched with a good deal more determination than Hough himself invests in it, this song setting works as a pleasant encore, which is how Hough uses it, I think. But its whimsicality goes a-begging here. Of the three artists featured, de Jager gets the least amount of playing time; Lee has a tad over 24 minutes, Oliver She enjoys 23-and-a-half minutes, but de Jager clocks in at just a bit over a quarter-of-an-hour. After this mixed bag, third place winner She comes to us with one work only: Beethoven’s C Major Sonata, the Waldstein – that unforgiving, deceptive behemoth with its many temptations to take the easy path and substitute glitter for power. 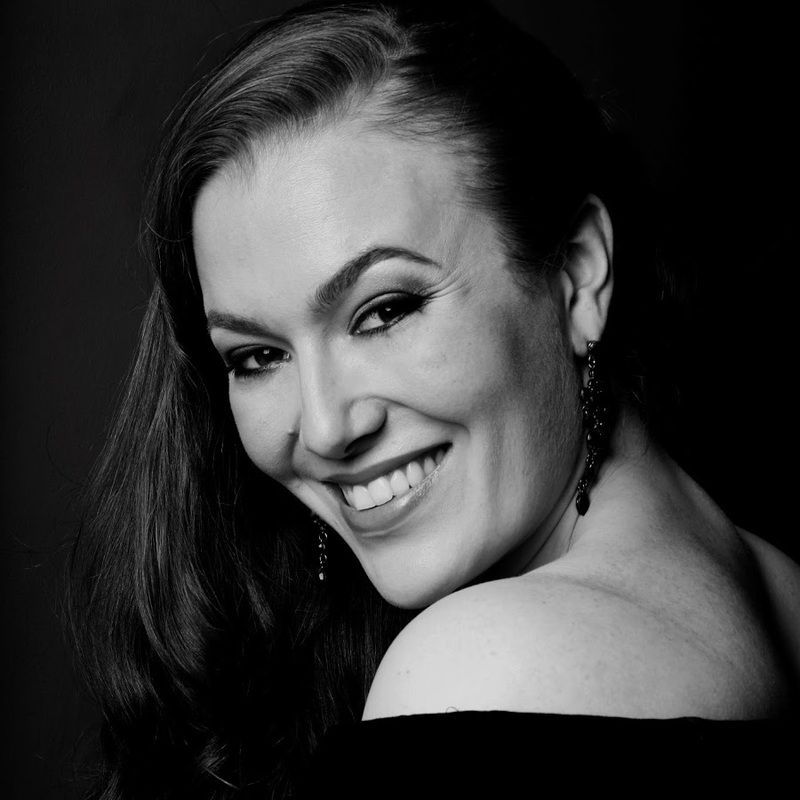 Stretching back into the past, She is bolstered in his enterprise by the interpretative wealth of great Waldstein interpreters – Solomon, Schnabel, Kempff, Richter. Arrau, Brendel – and every so often he breaks through into a stretch of originality that takes you by surprise. For example, he achieves a refreshing continuity and felicity of phrasing in the 12 bars or so that conclude the first movement’s exposition and, by the time we reach the recapitulation proper, he is at home with the work so that the semiquaver patterns show few signs of blurring and the sonata’s surging action is expertly maintained, even if the three fermatas before the final rush to judgement are a touch overlong. The Introduzione is given an appropriately slow pace, its measured progress marred by a muffed melody note at the start of bar 10. However, from bar 19 to the attacca, She shows excellent discretion in dynamic restraint and – apart from an odd shuffle in the left hand on the first beat of bar 21 – the climax and decrescendo cap a worthwhile realization of this incongruous page-and-a-bit. A few more glancing errors creep into the Rondo but nothing too disturbing. The pianist intends – as do we all – to keep the semiquaver ripples at the start on a very soft level, but the first movement’s opening blurring recurs; if you turn up the volume very high, you can hear the notes are all there but, in live performance, you’d have to be very close to She to discern them clearly. Happily, the interludes are enunciated with precise lucidity, notably the C minor one that begins at bar 175 and the riot of triplets taking flight at bar 344. She has no hesitation in taking the Prestissimo at a cracking speed; the wonder is that he perseveres with it, keeping his nerve at the glissando octaves from bar 465 to 474 and keeping the pressure on himself at bar 484 and not slowing down , unlike many pianists who, for unknown reasons, take the arrival of crotchet triplets in the left hand as a signifier of a change in metre. You’d be hard pressed to disagree with the final ranking of this competition, judging by this CD’s content. It was recorded a little over a year ago on September 9 and 10, 2016; I presume in the final rounds so that each of the three pianists was working at full capacity. Thanks to the ABC recording staff and the Award administration, we have a picture, albeit a second-hand one, of the event’s climactic points and a reassuring illustration of the state of the country’s pianism. And so we say farewell to Mimir for 2017. The festival’s concluding recital on Sunday afternoon played to an enthusiastic if under-sized crowd, happily ensconced in the comfort of Melba Hall, these lower numbers possibly explained by the coincidence of Fathers’ Day, although I don’t know how many of us take that fabricated celebration seriously when the options are to manufacture jollity for a few hours or to listen to top-notch chamber music-making. This concordance of dates has been a problem over the last few years with the Music in the Round Festival at the Abbotsford Convent, but this time that celebration has been transferred to the last Friday in the month rather than the first; let’s see what difference this makes to MITR’s attendance figures. A familiar quartet ensemble first presented Mozart, the D Major K. 499; Jun Iwasaki and Curt Thompson violins, Joan DerHovsepian viola, and the exhaustively employed Brant Taylor doing cello duty as he has for every item throughout all three main Mimir recitals. The ensemble did not play a repeat of the first movement’s exposition which meant less exposure to a well-rounded ensemble output, Iwasaki projecting as forthright a top line as ever while urging his colleagues through a slim development where his part has most of the interest. For unknown reasons, DerVorsepian gained prominence in the following Menuetto, prominent in the mix although the score shows no reason why this should be so; still, it gave interest to an unexceptionable if bland few pages. As with the other slow movements at Friday’s recital, this work’s Adagio sounded assertive from all quarters; nobody was really prepared to supply much sugar with this dish. The performers were well agreed on their use of vibrato, abstaining from excess; but then, there wasn’t much room for indulgence with this volatile movement with quite a good deal of ornate action from all parties, although Iwasaki enjoyed the lion’s share. At all events, the outcome was fittingly free from sweetness, the dulcet giving place to the crisply deliberate. The last movement is a molto allegro but this exercise held several passages of scrambling; not so much shown by intonation problems, although these weren’t entirely absent, but more by coping with Mozart’s sudden modulation checks and jumps in atmosphere. Indeed, it was hard to make rhythmic sense of the first 18 bars or so as the emphasis was on metrical sleight-of-hand, so that you weren’t quite certain of the prevalence of triplets until they became texturally solid in bar 22. Enthusiasm and rapidity were the movement’s characteristics but the players’ impetus made the chromatic sliding that started at bar 186 sound as though a touch more rehearsal time would have clarified the composer’s intentions. Flying the standard of democratic hope, the same personnel gave most of us our first encounter with US composer Kevin Puts’ Credo, a four-movement construct that made its various images harder to imbibe because the players worked through it without a break. This attaca procedure always leaves me unhappy and uncertain; what I think I have decided to be the end of one particular segment might in fact be nothing of the kind but simply the composer taking a new breath before revisiting the same scenario. For instance, Puts begins with a scene set in a store in New York, The Violin Guru of Katonah, where clients come to play their instruments to the specialist who then carries out repairs. The movement starts with harmonics and atmospheric rustling sounds before settling into a display piece for the first violin while his peers play simple underpinning chords. Puts proposes that he quotes specific violin pieces during this dazzling display and, although you heard fleeting references to 19th century concertos – perhaps – nothing stuck around long enough to be recognizable. Fair enough: the composer’s point is to suggest flashes of virtuosic light rather than simply set up a forum for Guess the Tune. But, before you’re quite aware how it was done, you are into the second phase, Infrastructure: a new picture, this one of an industrial landscape in Pittsburgh. You know you have arrived because the players drum out zesty rhythmic patterns and hard-edged dissonances to suggest the mechanical age. It’s not high on the brutalist level of Mosolov or Honegger but the inhuman landscape surges up, unmistakable. The third stage, Intermezzo: Learning to Dance, begins with a soft lullaby motion, a simple lyric involving euphonic chords in the best Vaughan Williams vogue; simple juxtapositions suggest the innocence of a scene where a mother teaches her daughter dancing, Taylor’s cello significant for an ascending scalar melody of benign nature. And somehow we move syncretically into the Credo movement, announced by a presto involving everyone in a moto perpetuo that builds excitement, then stops for what is heading towards a one-note meditation for Iwasaki’s line. But then, in democratic style, Taylor takes on the prominent role, succeeded by DerHovsepian, and Thompson brings up the rear, with all eventually involved in a slow declaration, a statement of aspirations, I suppose, which gradually dies away, fading to black. From what I could make out, this last segment is the work’s most substantial – and its most voluble. If it is a statement of belief, Puts is speaking in optimistic terms, even if it takes him some time to have his say; you look in vain for the brusque determination of a Ruggles or Harris, two sterling exemplars of self-revelation without indulgence. But then I might have the structural delineation all wrong; I don’t think so, but it’s quite possible. Despite the confusion that it presents to those of us who over-compensate for our ignorance, Credo maintained your interest, not least for the command shown by all involved of the work’s emotional landscapes, and the full-throated generosity of their participation. Australian pianist Kristian Chong started the program’s final offering: the magniloquent Brahms Trio Op. 8 in B Major. His partners were the omnipresent Taylor and violinist Stephen Rose. Here was a very compelling account of a work that grabs you by the throat every time you hear it. Chong’s opening statements enjoyed an uncluttered delivery, without any clagging from an over-employed sustaining pedal but taking the score’s open features at face value. The strings’ entry into the action mirrored this approach with an exemplary amalgamation, strong in contour so that every phrase was shaped and delivered with care. While you could admire the clarity of ensemble in a score that suffers more than most from superimposed temperament, the artistry of all concerned welled out from about bar 181 onward where the key signature returns to normal and the trio carves its way back to the main first subject en clair: a passage of extraordinary clarity after the development’s long hegira, where eventually peace came dropping slow. Chong kept his attack sotto voce for much of the Scherzo, saving his full force for those moments where it counted most – in the ample Trio. The only error I could pick came in the later stages of the scherzo repeat, somewhere about bar 409 where the right hand quavers momentarily faltered. Taylor’s voice glowed in the great Adagio, notably in the lengthy G sharp minor solo that begins at bar 32, a moving digression from the preceding chorale antiphon. And Taylor began the last Allegro with an impressive display of sublimated strength. All three musicians cooperated in a compelling build-up of tension before the splendid relief of the D Major second subject bursting in at bar 64; an electrifying moment in this considered and temperate version of the trio, Chong resisting the common temptation to take over by keeping his declamatory moments temperate. Here also I found only one questionable piano passage at about bar 218, during the return of this subordinate theme, now in the home key. You have to feel envious of musicians fortunate enough to be asked to perform this generous and rich masterpiece, even if it winds up being oversold by ensembles who seize on its innate weight, dynamic shifts and the juxtaposition of inspired melodies and gripping chromatic exploration, in order to generate a simple-minded dramatic ferocity. Here we enjoyed the labours of players who aimed for clarity above all, typified by Rose’s cogent and intensely sympathetic line, best instanced by his shaping of the long high-set path of the first movement’s Tranquillo: one of this afternoon’s most powerful stretches. 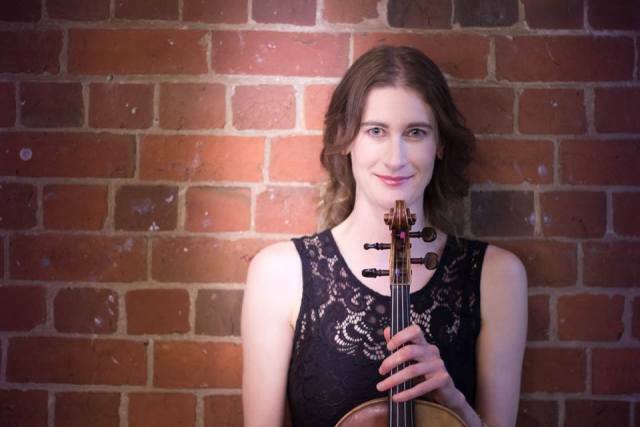 Back for a fifth year, this chamber music festival, originating in Texas, has settled on the Conservatorium of Music in Sydney Road for a far-too-brief week of seminars, tutorials and exhibition recitals. Most of the participants are familiar, especially the core US string quartet – violinists, Jun Iwasaki and Stephen Rose, violist Joan DerHovsepian, cellist Brant Taylor – all overseen by Curt Thompson, Head of Strings in the Music Faculty. 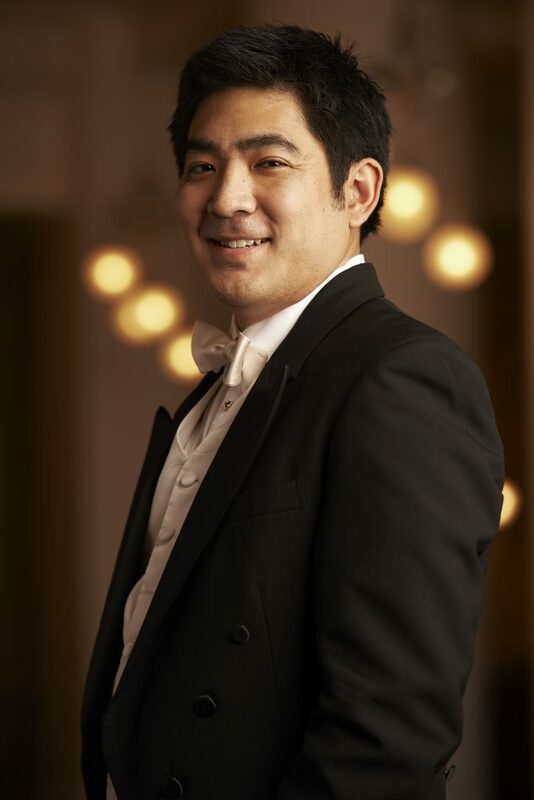 Another returning artist is Melbourne pianist Kristian Chong, with colleague Benjamin Martin also appearing in two programs to flesh out the repertoire. 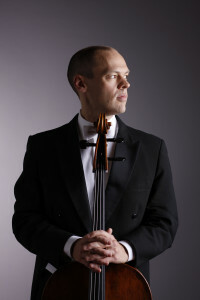 The newly-appointed Associate Professor of Double Bass, Robert Nairn, made a one-off contribution during the festival’s middle recital, assisting to realise a work new to most of us. Beginning this second recital, the US musicians played that challenging serenade for string quartet, the Italian by Hugo Wolf. For perhaps the first time in my experience of the score, first violin Stephen Rose regularly surrendered primacy to his colleagues, the top violin line overwhelmed by its companions, in particular a well-roused Iwasaki who dominated the group’s output except at climactic flights, as at bars 161-5 where the first violin operates an octave above its partner, or at the long crescendo beginning in bar 470 where Rose – for a time – had all the running. To be fair, the interpretation improved after the mid-movement cello recitative from a voluble Taylor, and the move to F sharp minor and its consequents proved to be a light-footed delight. True to its spirit, the work came over as vital, ironically humorous and the performers gave a crystal-clear account of the score’s metrical games, the quicksilver interplay deftly accomplished and, if the product began as sonically imbalanced, you could not fault the quartet’s underlying consciousness of mutual responsibility. Martin and Nairn joined Curt Thompson’s violin, DerHovsepian and Taylor for the Piano Quintet in C minor by Vaughan Williams. This, composed in 1903, is the first chamber work listed in the composer’s catalogue but it remained unpublished until 2002. Despite British sponsorship and enthusiasm as well as its handy partnership with Schubert’s Trout which uses the same instrumentation, the quintet has not proved popular – a pity, as its language is heartfelt and its ambitions come to a splendid conclusion in a mobile and emotionally engrossing Fantasia. The point has been hammered home by every commentator I’ve come across that the score owes much to Brahms – which, after you’ve heard the first two chords, is stating the bleeding obvious. More so than in most Brahms chamber compositions, the keyboard dominates and its attack seemed disproportionate on this evening, particularly when a string trio interlude followed, as at bar 139 with a move to Andante sostenuto. But a look at the score shows that Martin was simply following orders and Vaughan Williams wanted a fair dollop throughout of fortissimo and triple forte dynamics from the pianist. The following Andante, however, was much more satisfying, both for its own content and for the expansiveness allowed to the players. An undercurrent of the repeated chord stasis found in the composer’s contemporaneous song Silent Noon enriched this appealing pastoral, a well-justified comparison observed by annotator Michael Kennedy. An opening piano solo was succeeded by the first of several melting moments for strings at bar 30 and, after a very mobile middle section with a powerful allargando climax, the return of this euphonious calm rounded out a splendid passage of play. The variations/fantasia begin with an antiphon between piano and strings, the material a simple-enough melody harmonised in full common chords, anticipating so many of the composer’s most well-known music. Both sound-sources generated a powerful timbre without straining, each variation clearly given its own context, although you’d have had to be comatose not to appreciate the Brahmsian sweep of the change announced by Martin’s powerful move to E flat minor at bar 67 and the concerted strings’ vehement responses, all capped by a potent clamour at bar 216 where strings and piano lined up for an enthusiastic D flat affirmation of the main theme’s last strophe before the work fades out with a touching descending C Major carillon in the bass. While a large part of the Mimir week comprises performances and examinations of standard repertoire, it’s the resuscitation of a score like this Vaughan Williams that adds value to the festival experience; further to this, you have the inestimable advantage of hearing such a composition handled with confident mastery, not only from the well-exercised Martin but also from that admirable central string trio with Thompson and DerHovsepian splendidly matched in their frequent octave or unison duets. Dvorak in G Major Op. 106 brought up the rear, one of the last two of the composer’s string quartets. Here, Iwasaki took the first chair and the combination with Rose sitting at second worked to much more congenial effect than had been the case with Wolf’s serenade. Even so, some signs of strain emerged in a strident section, about 22 bars before Figure 10 in my score, where the violins are operating in thirds for about 16 bars and intonation was momentarily suspect. More significantly, from the start the players were over-hefty; even DerHovsepian went for the jugular in the more hectic pages of an otherwise benign Adagio. This break-through dynamic also obtained in the Molto vivace, the outer scherzo sections given with a certain compulsiveness of address; the central Trio came across as even more of a relief than expected. This tautness worked to better effect in the finale with its happily hectic drive oscillating with burbling lyricism, the episodes featuring melodic material that for some reason brought to mind that annoying scrap of faux-calypso, Yellow Bird. More to the point, you felt that the labourers in this particular vineyard were on a time limit, urging through the movement, especially from Figure 7 at the Allegro con fuoco return. The effect was exciting to experience and to a large effect justifiable because, to be fair, the matter that Dvorak presents in these pages is hardly the stuff of transporting elevation. But the outcome of the reading was to leave you with unalloyed admiration for the executants’ deliberation and precision under (generally self-applied) pressure.